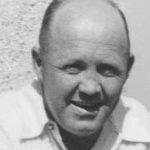 Con and Barb Campbell arrived at Bachelor Lake, in the Abitibi region of Québec, in August 1950 to manage the Gold Belt Air Service seaplane base there. This is the seventh in a series of excerpts from Barbara’s journal, “Bachelor Lake Daze,” published with the kind permission of Dr. Sandra Campbell and Con Campbell, Jr. Their mother wrote her journal after the family left Bachelor Lake and moved to Rouyn, Québec, in 1953. To view all posts from “Bachelor Lake Daze,” click on the Gold Belt Air Service category below the main title at the top of the page. September’s end brought relief. The hectic summer season now lay behind us. With the cabin repair and decorating, that darned two-way radio system, the comings and goings of aircraft, and all the cooking and cleaning, the days had flown by in a flash, like slats in a picket fence. Howard Watt. Photo: Lloyd Watt, via William Watt. One day in early October when pilot Howard Watt* flew in, he mentioned that he’d be leaving within a week to spend the winter in Florida. This was a yearly occurrence with him. He and his wife Flo lived in a four-wheeled Taj Mahal parked near the base in Amos. When the summer flying season was over in the north, they hitched the house trailer to the car and rolled away to the sunny Southland. A very sensible arrangement. * Watt was the pilot who took the Campbells in to the Bachelor Lake base in August 1950. On Howard’s last flight in to Bachelor he brought along the pilot who was to replace him. Con and I did not realize who his companion was. When this beardless youth swung down to the float, we assumed that he was some youngster Howard had brought along to help with unloading at the different stops along the way. It wasn’t until later in the day that we learned that this stripling measuring all of 5’5” and weighing a mere 135 pounds was the new pilot. F. E. Ferguson (“Fergie”) was to be the joy and despair of our lives for months to come. For all that he looked like a backward school boy and too undernourished to handle the Norseman, he was an able pilot, although given to flamboyant flight tactics that would have had Gold Belt manager Leo Séguin blowing his stack. We soon began to call him “Fearless Ferguson”, and the name stuck. The zany stories he had to tell of his adventures coupled with a startling vocabulary made his overnight visits something to reckon with. We spent many an evening listening to his tales of hairbreadth escapes and deeds of derring-do. His descriptions of people, places, and situations were graphic, disrespectful and probably true though we had a hard time winnowing out truth from fiction. To this day I find myself wondering if there is any way he could possibly have landed a float-equipped plane on a stretch of dew-soaked grass! He looked hurt when I ventured that with a little practice he could undoubtedly land the Norseman BSE on a wet washcloth. Loading CF-BSE at Rouyn in 1950. Manufactured by Canadian Car and Foundry (serial N29-21), this Norseman V was sold to Gold Belt Air Service in June 1946. The company operated her until March 1954 when she was destroyed by fire while being overhauled at a local garage. Early October brought a week of miserable weather, driving sleet and icy winds. Afterwards, Indian summer lay upon the land like a blessing. For ten glorious days, summer returned and the low hills shouted with colour. The red and gold of the hardwood trees was made the richer by the dark green of the spruce, while the lake and the sky shimmered in the hazy sunlight. The yellow leaves of the scrub birch growing outside the door seemed to strain skywards in the wind like tethered canaries. Con and I succumbed to a vast lassitude and sat for hours in the sun at the end of the wharf, doing nothing, scarcely speaking, staring off into the blue distance in a coma of contentment. “Just bursting with laziness,” Con described it. But the days were short and the nights longer now, and cold. An ice film covered the water buckets in the morning, and the rising sun sparkled on the frosty rooftops. One balmy afternoon, Bob Birkett, the head pilot at Gold Belt, wafted down out of the blue with a load of gas for us. Having inhaled a pot of coffee and demolished a plate of fresh doughnuts together, we wandered down to the plane with him. He swung into the cockpit and just before slamming the door he allowed as how we’d better make up our freeze-up grocery order list and he’d pick it up the next day. “Not on your tintype!” I shouted, as the motor roared into life. * The hunting season had closed not long before, and it had been a good year for moose hunting. 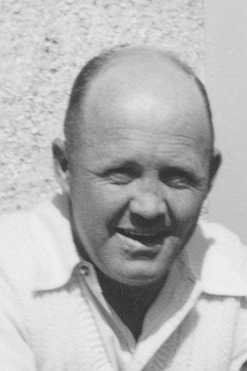 Alphonse Truchon ran the nearby Fecteau seaplane base on Bachelor Lake. When Alf left at midnight, the sky was overcast and the rising wind was from the east. It was raw and damp and the waves pounded loudly on the rocks. “Guess this is it,” Con said cheerfully. “Raining by morning, turning to snow by night,” agreed Alf. But there was no swimming the next day, nor flying either. A cold wind-driven rain blew from the low scudding clouds. Toward evening the wind dropped a bit and the rain turned to snow. Sleet at first that rattled against the cabin and then thick, soft flakes of snow that melted on the ground. We passed our freeze-up order on to Amos by radio, wearing our batteries down to a nub in the process. Con was still intermittently feuding with the charger. Sometimes it would refuse to run at all and then just to be contrary it would run blithely for hours but without charging the batteries. Con got very proficient at dismantling the mulish device, glaring and cursing and stamping about the while. He claimed that every nut and bolt in it was of a different size and he hadn’t a wrench to fit half of them. “Unstandardized Moses!” he cried, hurling the screwdriver against the wall. Knowing when to keep my mouth shut, I poured him another cup of coffee, passed him a lighted cigarette, and silently retrieved the screwdriver from under the table and the cat from under the bed. This went on several evenings a week until Leo took pity on us, and sent in a brand-new charger. When the weather cleared again Alf went out for a week’s holiday in Senneterre, Québec, taking Poune (his dog) with him. There were fewer planes in now but those that did land usually stayed overnight. The days were short, with fog frequently blanketing the lake until nearly noon. Our food supply was running low because our freeze-up order was still at Amos awaiting freight room in a plane. It became a real problem to feed our guests especially if they were weathered in with us for long. 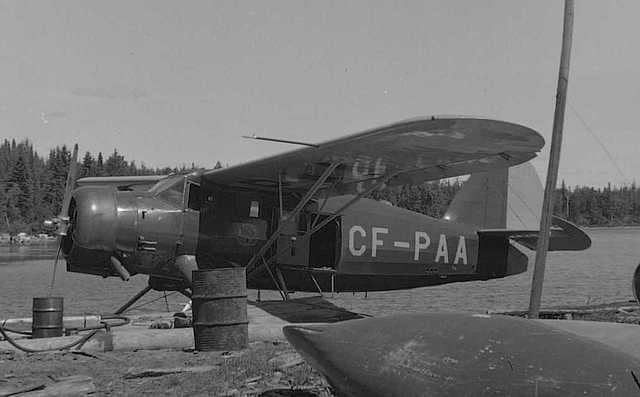 CF-PAA, shown at Lac Figuery near Amos, Québec, is an early Norseman, produced in 1940. Used by the RCAF as a wireless trainer during the Second World War, she was operated as a bush plane by Gold Belt Air Service from 1947 to 1954. Photo: BAnQ 03Q-E6-S7-SS1-P80130. My “Roger, PAA” was casual enough but my mind raced like a panicky mouse through the cupboard trying to devise a meal for one pilot, six passengers and the two of us out of a pound of dried prunes and two cans of dog food. Luckily the cook stove was going full blast for warmth these days and I had taken advantage of the hot oven to bake batches of bread and cakes and cookies. With onions and cheese and canned salmon to mix with macaroni I could make a formidable casserole in short order. Although the menu was not fancy it was wholesome and hot, and no one went hungry. Coffee and cookies for all hands kept everyone happy at bedtime after an evening of cards or talk. During the evening Con went over to the Other Cabin to put on a brisk fire to warm the place, carry in enough wood to last a week, and set a kettle of water on the wood stove for washing or shaving. No culinary crisis so far but I prayed for good flying weather for the next day. I need not have worried – the sun climbed a cloudless sky at dawn. By eight o’clock that morning pilot and passengers, burping contentedly and containing the last of our bacon and eggs, were winging their way toward an area where food surpluses not shortages were the problem. 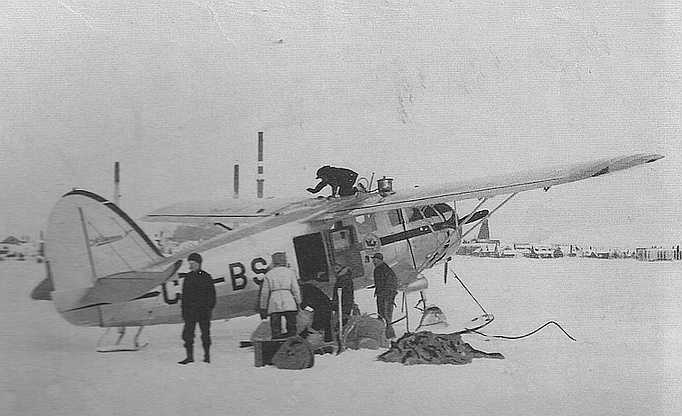 A few days later, a whole plane load of provisions arrived for us, enough to supply our isolated camp until the northern lakes and rivers had frozen solid and flying could resume with aircraft now on skis instead of their summer floats. Captions for the Norseman photos are based on information provided by Terry Judge and Bruce Gowans. I was privileged to hear some of these stories from Con and Barb in person. (My in laws). They were dear, humorous, very interesting people. Miss them. Please keep the stories coming. A very entertaining read.